A flavour taste sensation filled with so many wonderful nourishing nutrients and making use of ingredients that usually go to waste. 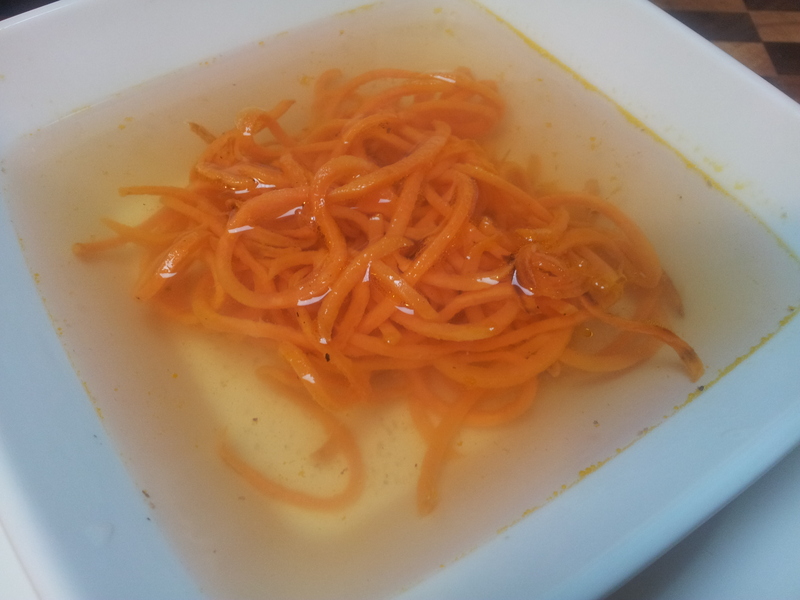 An amazing turkey bone broth with pan fried sweet potato noodles. It was completely delicious. Bone broth is nutrient dense and extremely healing for the digestive system. In addition to this it is filled with an incredible flavour that can be enjoyed on its own as a drink or used in your favourite meals. 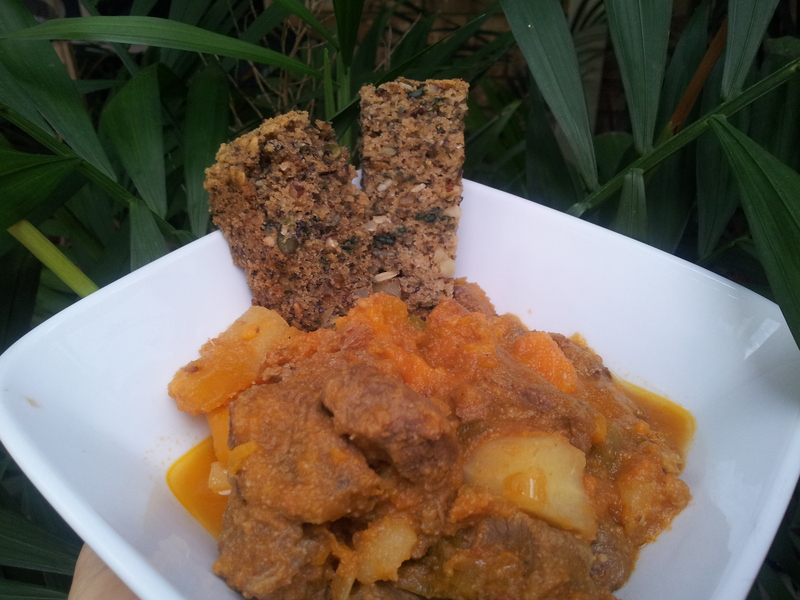 This is a beautiful beef and vegetable casserole where l added about 1 litre of turkey stock to create an amazing flavour. 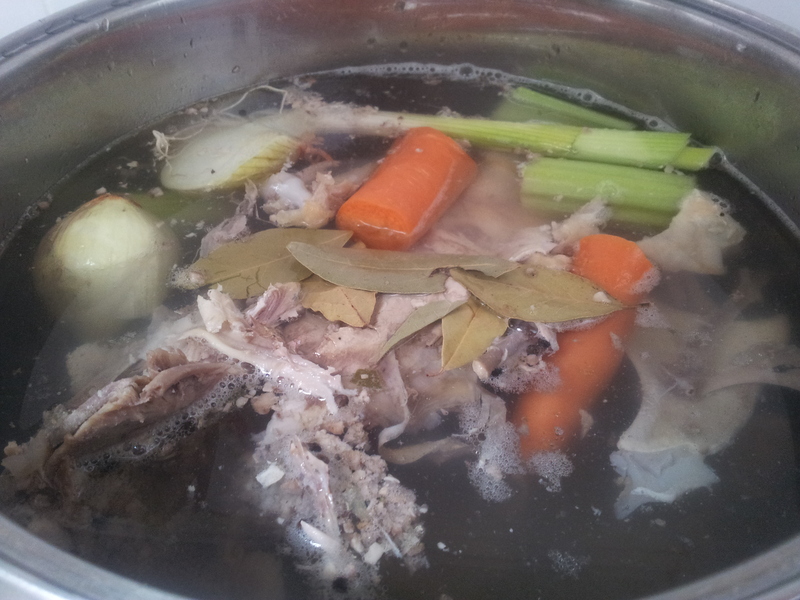 To make the stock you need to have the remainders of the turkey after you have cooked it and enjoyed a lovely meal. Cook your turkey and enjoy a delicious meal saving the leftover meat, skin and bone for your broth. 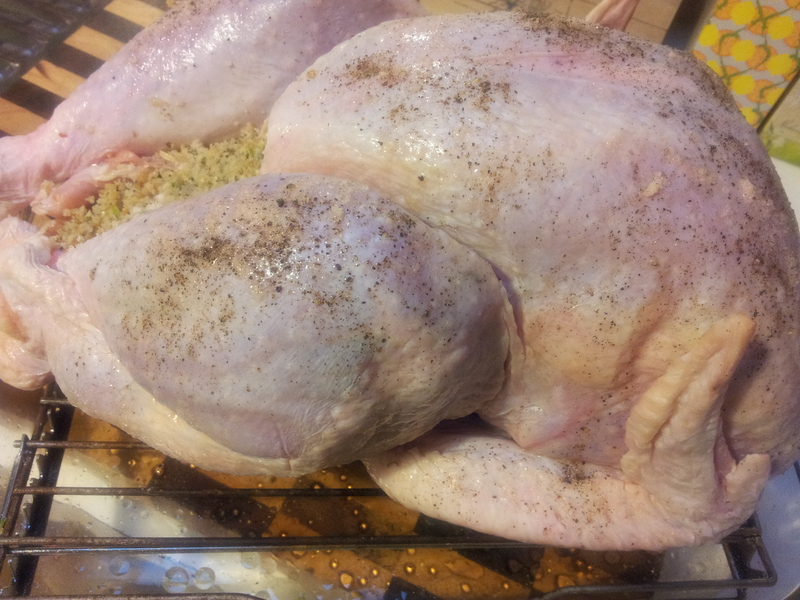 To make the broth place your turkey leftovers in a big pot and fill it 3/4 of the way with filtered water. 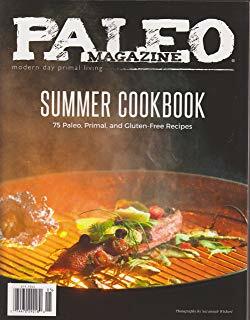 Add to the pot 1/4 cup of organic apple cider vinegar, a few peppercorns, onion, 1/2 teaspoon sea salt, a few bay leaves and an assortment of vegetables such as celery ends or carrots. Everything is in the pot. It is hard to go wrong and the actual quantity of each ingredient doesn’t have to be exact. The apple cider vinegar is important though as it helps to leach the minerals and nutrients from the bones. Bring the broth to the boil and then let simmer with the lid on for around 24 hours. The house will smell lovely. When the broth is cool strain it to so you are left with a clear liquid. Let it cool in the fridge and then skim the fat and solids off the top. 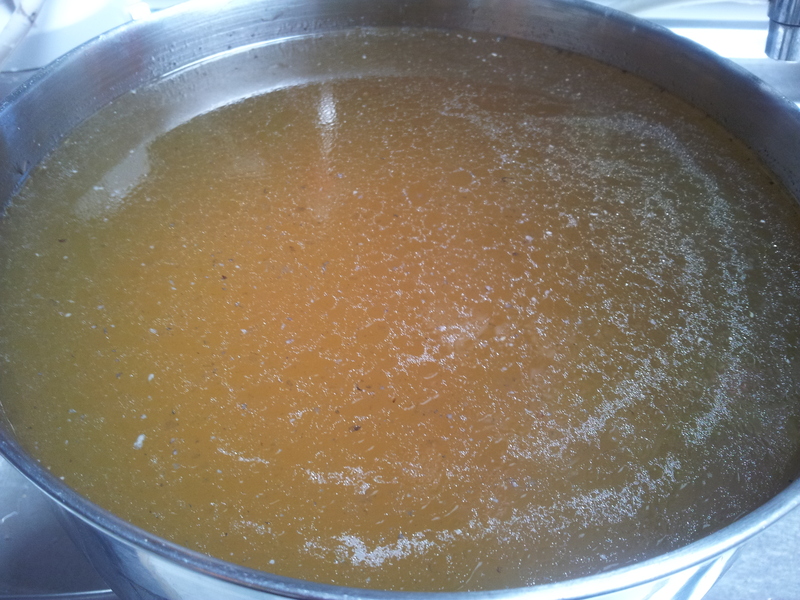 The broth is now ready to use or can be frozen. This broth is so precious. Try to always have a broth of some kind in your fridge or freezer.